Hello everyone! Earlier this month we posted about safe transport of birds and small mammals to the vet, now we’re moving on to our scaled creatures! Reptiles come in a wide variety of shapes and sizes and can sometimes be a bit challenging to transport. The most important thing is transporting them safely to and from the vet! Recommendations on how to transport them will vary from species to species. Turtles need to come into the vet for a variety of reasons – they may be showing signs of illness, or coming in for their annual health exam. It is very important that you bring a separate water sample from your turtles tank or pond to your appointment (kept in a clean glass or plastic jar) so this can also be assessed. Turtles should not be transported to the vet in water as they can tire quickly and drown. Ideally turtles should be kept moist during transport to ensure they maintain hydration and to minimise damage to their delicate skin. We recommend transporting your turtle in a plastic container lined with damp bedding (such as paper towel for small turtles and soaked towels for larger ones). 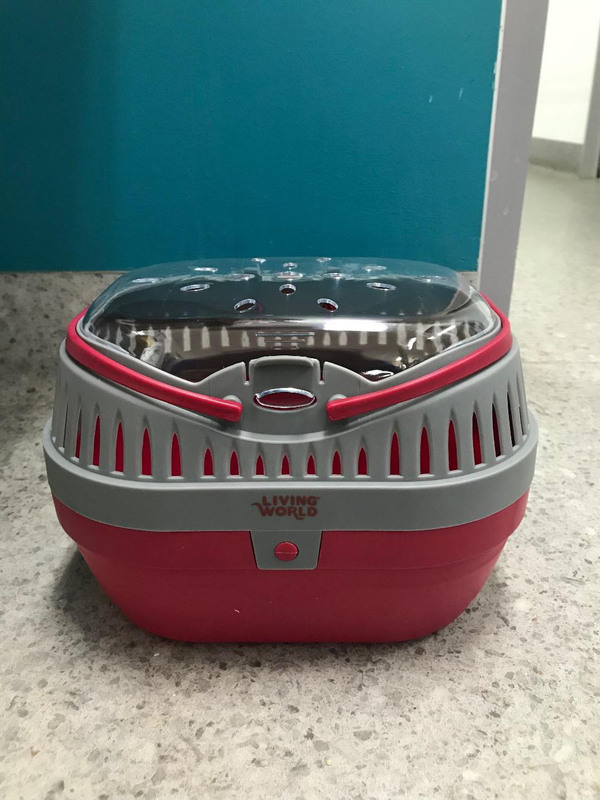 The container should have adequate ventilation (e.g. holes drilled into the lid, a mesh section of lid) and be secure. Turtles, especially large ones, can try to climb out of containers and are incredibly strong and can sometimes pop lids off! You need to monitor your turtle at all times to ensure this doesn’t happen, and sometimes strapping the lid down or placing weights on top can assist in keeping them secure inside! 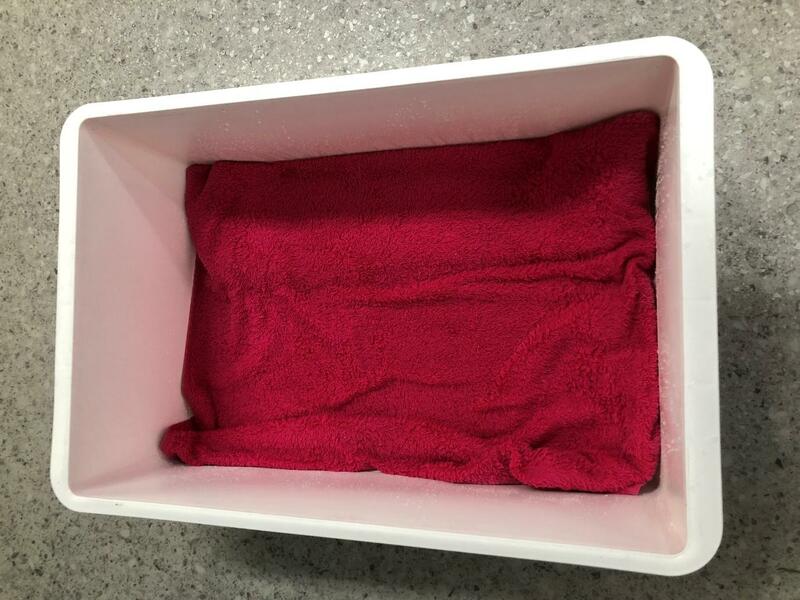 Turtles can be safely transported to the vet in a secure plastic tub with a damp padded substrate (e.g. a towel). You should never transport your turtle in a tub of water, as they can drown. It is important to have soft, damp substrate to prevent damage to their skin and shell and to help maintain hydration. We regularly see a variety of lizards at the clinic – often bearded dragons and blue tongues, but we sometimes get large monitors too! Depending on the size of your lizard you can transport them in a number of ways. Ideally lizards should be secured in a carrier during transport. We do have some lizards that come to see us that are harness trained. 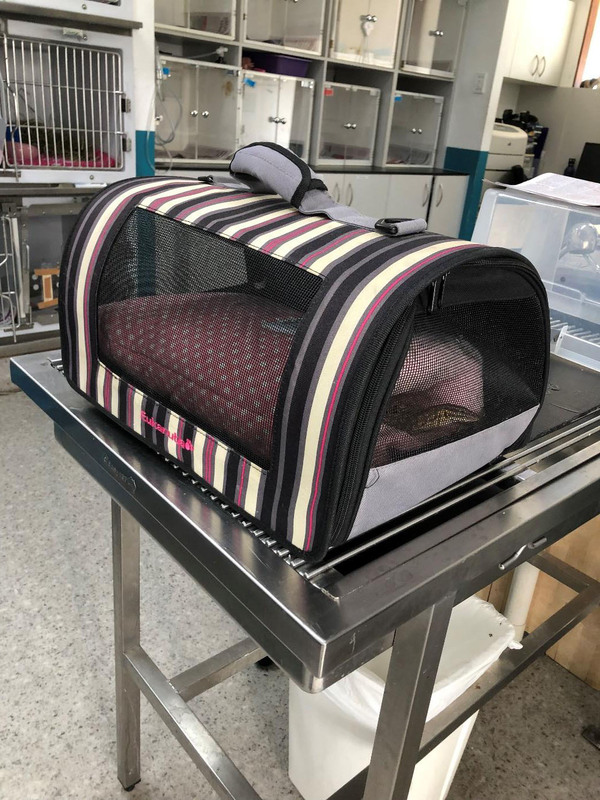 If a lizard is being brought to the vet just with a harness it needs to be supervised and held by a person at all times, even with this it is possible for a lizard to get into trouble by trying to run away. There are a number of carriers that are suitable for lizards, such as those often marketed for small mammals or birds. Lizards can also be brought in a plastic tub, as long as there is adequate ventilation. Most lizards appreciate having the ability to hide during stressful times, such as during transport. A small box or sleeping bag can be used, be careful with heavy hides, as these may move around during a car trip and could cause injury. Very large monitors should be securely contained within plastic tubs. These carriers are often marketed for small mammals (such as guinea pigs and rats) but are great for small reptiles. This is Rex the monitor. He is brought to the vet in a soft material carrier with good ventilation panels made of mesh. Reptiles often feel safer if they have a hide to use during transport. Rex has a material sleeping bag that he is rather fond of. Snakes come in a variety of sizes and suggested method of transport may change as your snake ages. Hatchlings are generally brought to the clinic in small plastic tubs with ventilation holes and a hide. It is particularly important for young animals to have access to a hide, as their first trip to the vet might be a bit scary for them and hiding may make them feel more secure. 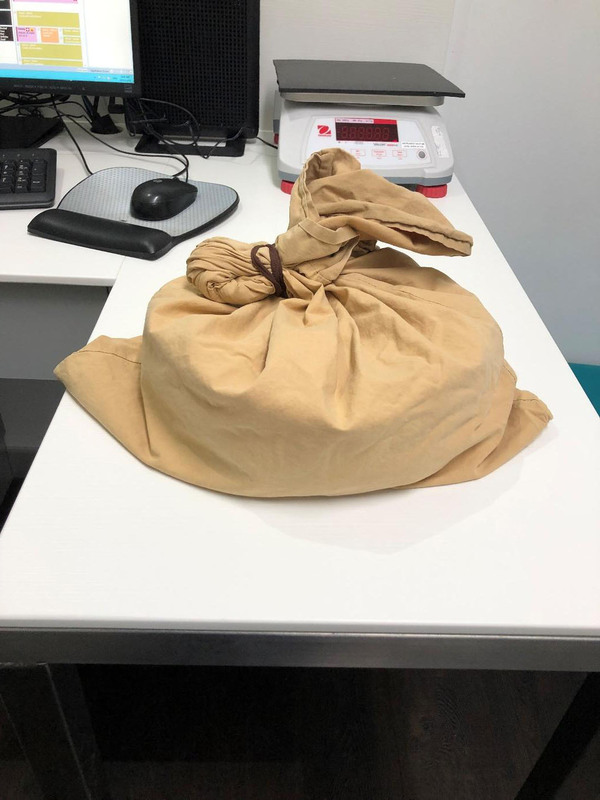 As snakes get bigger often they can be safely transported in material bags such as pillow cases. If transporting your animal this way you need to ensure that there are no loose threads on the inside of the pillow case (for this reason a lot of people turn the pillow case inside out prior to use). Loose threads can get wrapped around an animal and result in significant injury. Depending on the size of snake the pillow case can be carried or placed within a tub. Larger snakes can also be transported in large tubs, but these can sometimes be cumbersome to carry. If you have any questions about how to bring your animal in to see us don’t hesitate to ask our friendly nurses when booking the appointment! Feel free to give us a call today on 07 3217 3533. Snakes can be secured in pillow cases (ensure there are no threads on the inside that they could get wrapped in). It is also vital to ensure the pillow case is effectively closed – with a knot, a clip or a hair elastic. Snakes are masters of escape so they need to be secured! This is Bill the python who has a lovely carrier for coming to the vet! 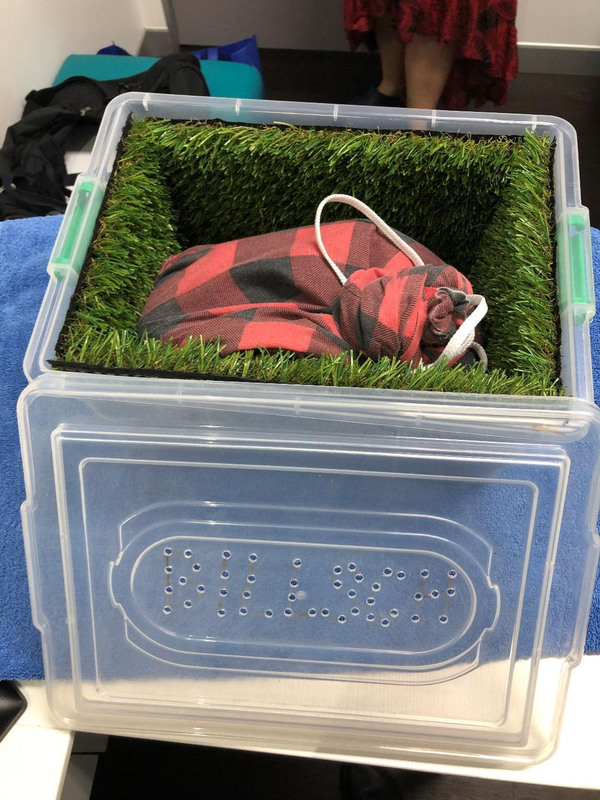 He is secured in his very own pillow case, he is then placed in a plastic container lined with soft astroturf. The plastic container has holes in the lid for ventilation, and is then secured closed with straps.